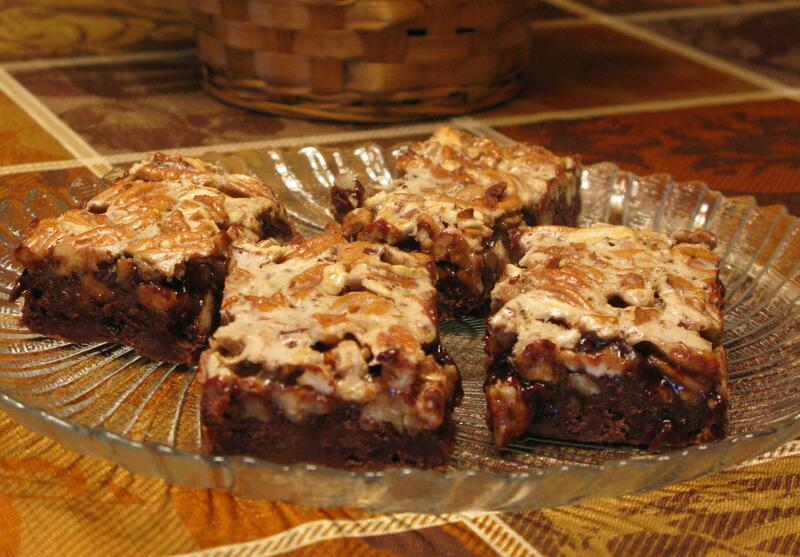 Here we go with some more Fall Recipes…and my family is a big fan of pecans. My grandmother makes a pecan pie every Thanksgiving, so here is a slight twist on this incredible pie, but as individual bars…and with chocolate. You can’t go wrong with nuts and chocolate, in my honest opinion. Preheat oven to 350 degrees. Line bottom and sides of a 9×13 inch baking dish with aluminum foil, allowing 2-3 inches to extend over sides. Lightly grease foil. Pulse all ingredients in food processor 5 to 6 times or until mixture resembles coarse meal. Press mixture on bottom and 3/4 inch up sides of prepared pan. Bake crust for 15 minutes. Cool completely on a wire rack (about 30 minutes) before topping with remaining ingredients. Sprinkle chocolate chips on crust. Whisk together brown sugar, corn syrup, butter, and eggs until smooth. Stir in pecans, and pour mixture on top of crust and chocolate chips. Bake for 25-30 minutes, or until golden and set. Cool completely on a wire rack (about 1 hour). Chill for another hour in refrigerator. Lift baked bars from pan, using foil sides as handles. Transfer to cutting board, cut into bars.